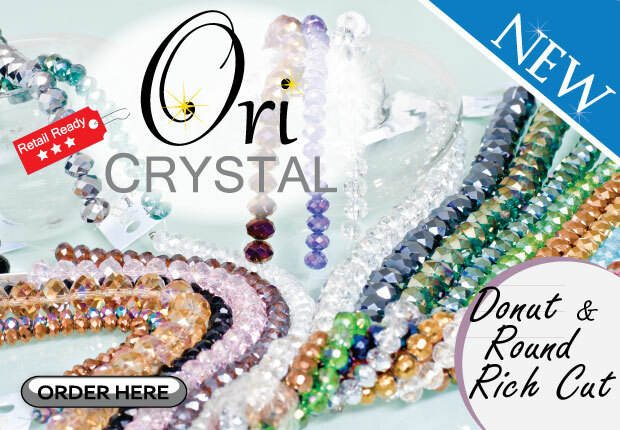 Ori Crystals are going to make your projects so affordable! 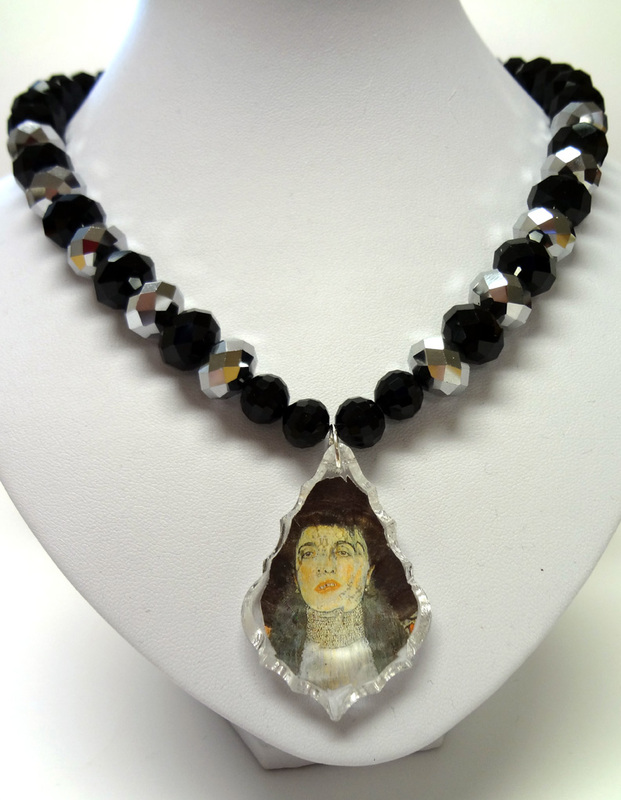 My Ori Crystal necklace has a pendant I made using another crystal option! 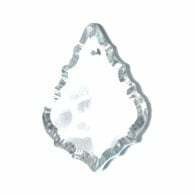 This is just one of several machine cut crystals that you can order from John Bead. 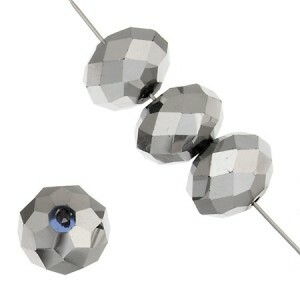 It already has a pre-drilled hole, so it is super simple to string. 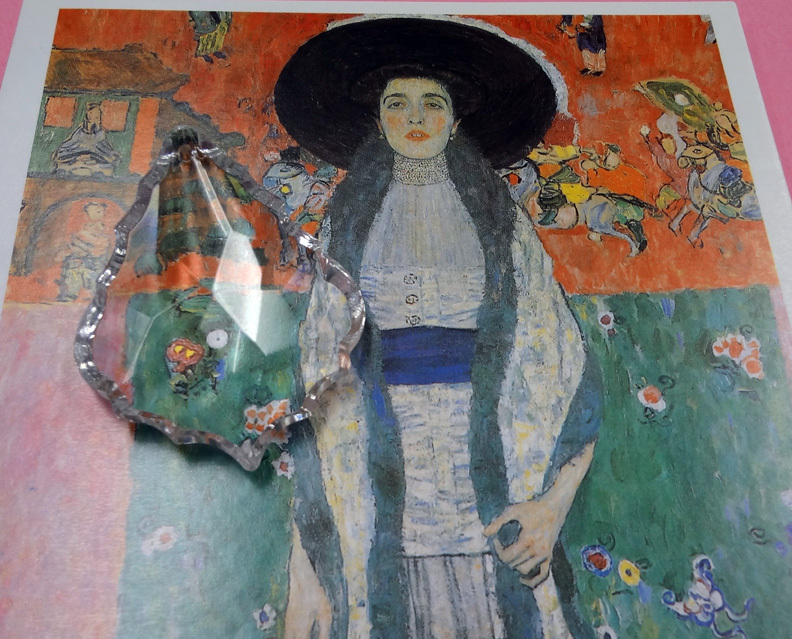 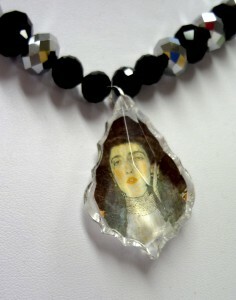 I simply found an image I loved (postcard) and glued it to the flat crystal drop back. 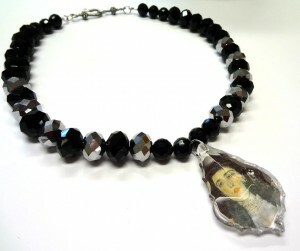 Ori Crystal Donut – Jet 10x14mm and I also used some smaller Jet round rich cut 10mm to complete my necklace. The hook and loop clasp is pewter. 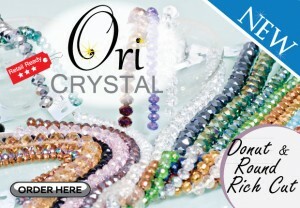 You’ll love the entire Ori Crystal range! I hope you have an opportunity to work with these new crystals soon! 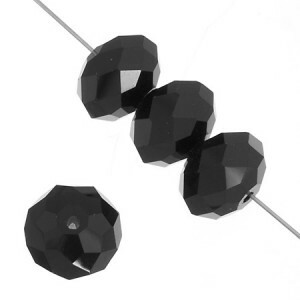 Previous Previous post: Metal Punch Pin!